is an assistant professor of urban sociology at Erasmus University Rotterdam in the Netherlands. She is the author of Mapping Israel, Mapping Palestine (2017). In the summer of 2017, a now infamous memo came to light. 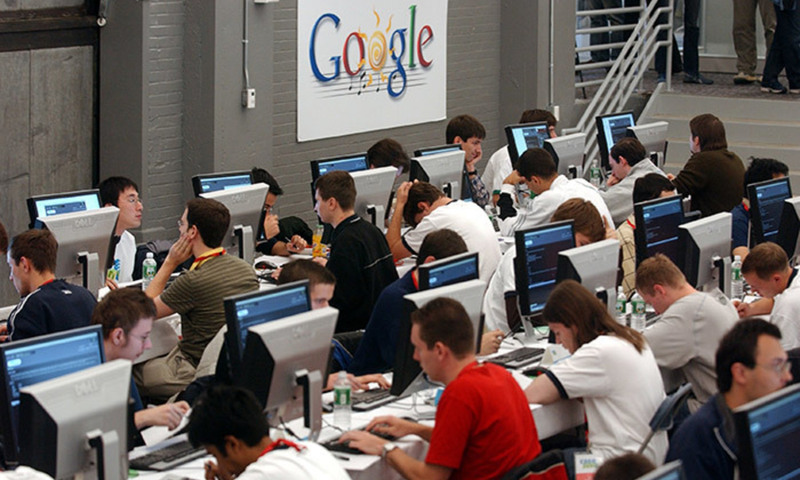 Written by James Damore, then an engineer at Google, it claimed that the under-representation of women in tech was partly caused by inherent biological differences between men and women. The memo didn’t offer any new evidence – on the contrary, it drew on longstanding sexist stereotypes that have been disproven time and again, and it included only the vaguest mention of decades of research in relevant domains such as gender studies. Given the expansive resources at Google, his omissions didn’t stem from a lack of access to knowledge. Instead, they pointed to an unwillingness to accept that social theory is actually valid knowledge in the first place. That Google memo is an extreme example of an imbalance in how different ways of knowing are valued. Silicon Valley tech companies draw on innovative technical theory but have yet to really incorporate advances in social theory. The inattention to such knowledge becomes all too apparent when algorithms fail in their real-life applications – from automated soap-dispensers that fail to turn on when a user has dark brown skin, to the new iPhone X’s inability to distinguish among different Asian women. Social theorists in fields such as sociology, geography, and science and technology studies have shown how race, gender and class biases inform technical design. So there’s irony in the fact that employees hold sexist and racist attitudes, yet ‘we are supposed to believe that these same employees are developing “neutral” or “objective” decision-making tools’, as the communications scholar Safiya Umoja Noble at the University of Southern California argues in her book Algorithms of Oppression (2018). In many cases, what’s eroding the value of social knowledge is unintentional bias – on display when prominent advocates for equality in science and tech undervalue research in the social sciences. The physicist Neil DeGrasse Tyson, for example, has downplayed the link between sexism and under-representation in science. Apparently, he’s happy to ignore extensive research pointing out that the natural sciences’ male-dominated institutional cultures are a major cause of the attrition of female scientists at all stages of their careers. By contrast, social theorists have shown a keen interest in illuminating how unjust social relations inform the development of science and technology. In the 1980s, the anthropologist Lucy Suchman, now at Lancaster University in the UK, showed that even the employees at Xerox in California struggled to use the copy machines the company produced – leading them to laugh, mumble to themselves, and repeatedly ask questions such as: ‘Where’s the start button?’ The machines’ designers had made an effort to write clear instructions, but people interpreted those guidelines in different ways, depending on factors that included their gender and class. The result was a machine that made sense to the engineers themselves, but didn’t work so well for everyone else. Social theory also plays a critical role in understanding rare, catastrophic events, which can’t be assessed solely in terms of technical failure. Human error and forms of social organisation – such as the hierarchies used to manage sensitive technologies – often play a critical role in whether or not a crisis is averted, as the sociologist Charles Perrow argues in Normal Accidents: Living with High-Risk Technologies (1984). For example, prior to the Challenger disaster in 1986 – in which a space shuttle exploded shortly after a take-off, killing all the crew-members on board – it turned out that some NASA staff had been aware of potential problems, caused by the material used to seal the rotating joints. However, certain organisational norms prevented these worries being transmitted to those who had the power to delay the launch. Because of a failure to appreciate the power dynamics behind NASA’s structure, scientific knowledge could not prevent the crash, even when some of the scientists clearly saw the potential for disaster. These examples show that social theory is not about detaching oneself from the world, so as to observe it at a distance. Instead, its many practitioners often try to develop knowledge from the standpoint of engaged participants, questioning the limits of their own perspective. The goal is to improve knowledge of the social world, an effort that goes hand in hand with active efforts to change society for the better, while also thinking critically, and continuously, about what ‘better’ means, and for whom. Detractors of social theory dislike it not because it’s not effective, but because it is. It has catalysed profound shifts in race and gender relations in recent decades. In activist and community groups, people who were historically excluded from universities, such as people of colour and women, have been the pioneers of perspectives on the world that have an impact on everyday life for billions of people. In spite of these ongoing contributions, technical knowledge continues to be privileged over social knowledge. The disconnect is apparent in numerous ways, such as the salaries of researchers. While academic scientists tend to earn lower salaries than those in industry, scholars in the social sciences and the humanities earn less across the board than both groups – and have fewer grant and employment options overall, too. Science and tech are viewed as revenue-generating down the line, but the cost-saving benefits of improved social understanding, and the benefits that go beyond costs, tend to go underappreciated. The skewed institutions that result should be everyone’s concern. If tech companies are serious about building a better society, and aren’t just paying lip service to justice for their own gain, they must attend more closely to social theory. If social insights were easy, and if practice followed readily from understanding, then racism, poverty and other debilitating systems of power and inequality would be a thing of the past. New insights about society are as challenging to produce as the most rarified scientific theorems – and addressing pressing contemporary problems requires as many kinds of knowers and ways of knowing as possible.